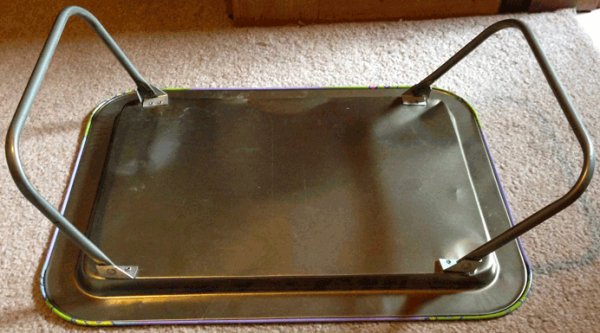 This is a rinky-dink metal lap tray with metal legs. It is used but is still serviceable. 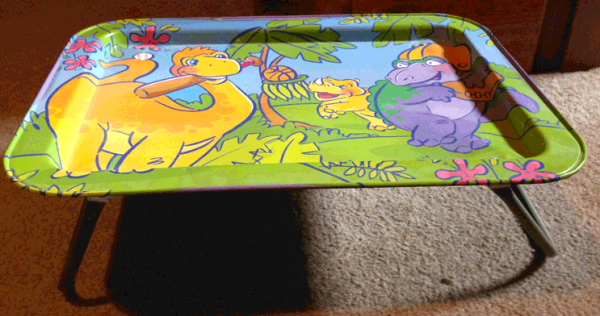 It's meant to be used to serve a child in bed, or to sit on a lap while watching TV. 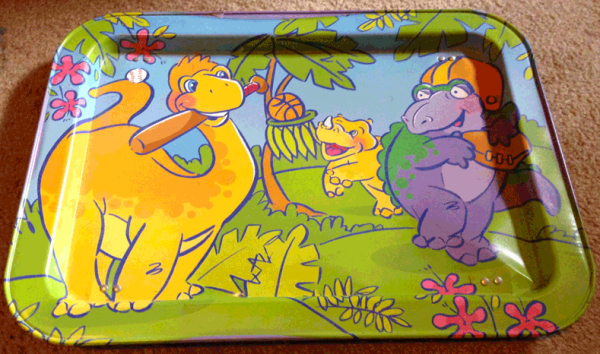 It features three dinosars playing with various sports equipment - a basketball and hoop, a baseball and bat, and a football and helmet. This little tray has no maker's marks. It's 12 inches wide and 17 inches long. It's about an inch deep when folded, and stands about 6 inches tall when unfolded. This little tray is over 30 years old.